Property Guides and Tips Renting guide﻿ 5 Reasons renting may be for you. 5 Reasons renting may be for you. Young people get told that they need to save and get enough for a deposit, and when they have the chance, pounce and buy something that they can afford. However, buying may not always be the best option, it can put a lot of financial pressure on young people and may not be the best long term strategy. Here are five reasons that renting may be better for you. 1. Positioning: Renting generally gives you the option of getting a place closer in to the city. Being closer to the city can cut transport costs and increase your mobility. You will find that high-rise apartment complexes generally are built up around busy areas, providing a good entry point to get in the market. You also don’t need a large amount of money to enter the market. 2. Flexibility: Many people who rent enjoy the luxury of being able to change plans over a period of time. Taking out a 12 month lease means you can use that time to save and re-evaluate your plans after the year, if you want to go travelling after you aren’t locked in and can rent elsewhere. Having a house has much higher entry and exit costs. 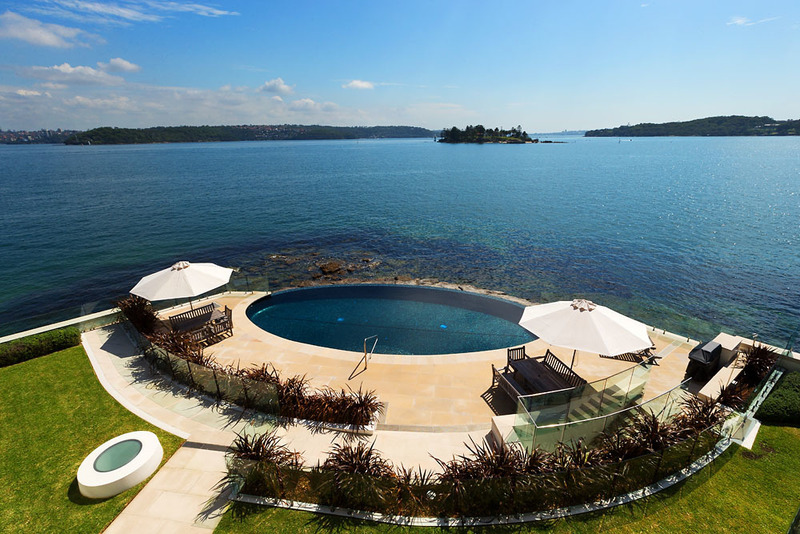 The poolside set up at 1/62 Wunulla Road Point Piper- Currently for rent on Homely. 3. Amenities: Generally the best amenities are in affluent areas, and your best entry in to affluent areas is through renting. One option is to possibly buy an investment property further out and use the rental income to offset your rent payments. 4. Minimal Upkeep: When you rent, generally your payments include a manager to look after the property. This property manager generally kicks in to gear when there are power outages, or problems that you can’t fix independently. This ensures you have peace of mind when issues arise. Also rentals in inner suburbia, such as apartments generally have very little upkeep that is required from you. The water frontage of this rental in Noosa. Click image for further details. 5. Change: Many people who buy properties buy in the area that they like. However what they think they like and what they really want may not be achieved the first time. When you purchase in an area, you generally allow yourself to put up with things that aren’t perfect due to the ‘long term investment’ you hope pays off in the future. You purchase a lot on ‘potential’ – when you rent, you don’t have those purchase decisions to make and can go where is best for you. Also, if you aren’t in the exact right area you can move a suburb, or even a street to try something new. All of these items are ideas why renting is good. Renting also ensures you reevaluate your decisions annually as a lease is renewed. Whilst it isn’t for everyone, renting shouldn’t be discounted as an option long term to set yourself up. How much could you save by negotiating lower rent? Is the flexibility of renting worth it?